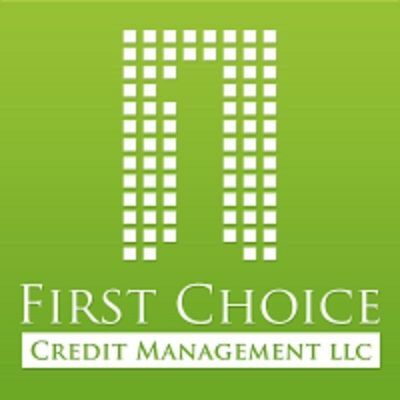 First Choice Credit Management LLC - First Choice Credit Management is a nationwide leader in debt management, debt settlement, credit consolidation and credit counseling. Address 1665 Palm Beach Lakes Blvd. First Choice Credit Management is a nationwide leader in debt management, debt settlement, credit consolidation and credit counseling. First Choice Credit Management is one of the country’s leading authorities in Debt Management, Debt Settlement, and Credit Education. Our members come from all walks of life and request our assistance from all over the world. Every consumer’s personal financial scenario and credit report is as unique as its owner’s fingerprint and for that reason, we specialize in catering to each of our members’ particular situations and individual needs. Consolidated Credit Counseling Services helps consumers through credit counseling, debt consolidation, housing counseling and financial education. Consumer Credit Counseling Service of Mid-Florida is excited to announce that we recently merged with GreenPath Debt Solutions.